Great family beach. 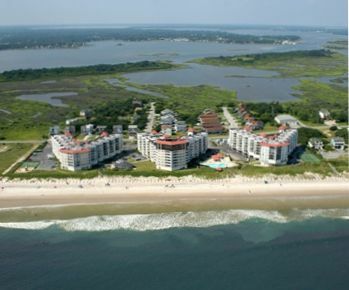 Large two bedroom two full bath condo right on the ocean! Sleeper sofa condo can easily sleep 6! Private balcony overlooking the outdoor pool and the ocean! We love coming here! The beach and town are our go to place if we need some R&R! We have sited many dolphin playing right in front of our condo! The whole condo has been remodeled!Including new kitchen,baths,furniture and appliances! A great place to relax and just enjoy your family! Seeing the ocean while you are cooking makes it so much better! LOOKING FOR A WINTER HOME LONG TERM RENTAL FROM NOVEMBER THROUGH APRIL...... WE ARE OPEN! WE ACCEPT MANY FORMS OF PAYMENT! RESERVE YOUR NEXT VACATION TODAY! My family and I moved to Atlanta 11 years ago from sunny Fort Lauderdale. The one thing we all missed the most was our beach time. After trying many beaches in Georgia, South Carolina and North Carolina we found North Topsail Beach and fell in love!We found it was a great place to relax and just be a family without all the stress and running we do in our everyday life! After vacationing there for a couple of years we decided to buy our own condo. Since the St Regis was undergoing major renovations we decided to take the 6 months our unit wouldn't be available and renovate the inside as well! We all love Topsail for different reason but it is the one place we all enjoy!It is such a treat to wake up every morning and enjoy our coffee while watching the ships head out for the day! We hope you love North Topsail as much as we do! North Topsail Beach is a great family beach. We vacationed here in 2003 and fell in love with the relaxing feel of this beach! It has great sand, light surf and we usually see dolphin swimming close to shore! St Regis Resort is a small community and the homeowners just did a $20,000,000. remodel. We also totally remodeled the interior. New tile floors, new kitchen with granite counters, new appliances and new baths! From Memorial Day till Labor Day we prepay for two chairs and an umbrella to be set up each day! One less thing you need to arrange or carry down! Always looking for ways to make your vacation relaxing! We feel ST Regis is the perfect spot to just enjoy the ocean and your family! you can surf, swim in the ocean, indoor pool or outdoor pool. Play tennis, go to the arcade, work out in the updated facility, we even have a hot tub and a sauna. Close by there are boat rentals, seadoo rentals, paddleboards and putt putt and of course golf courses, bike paths just to name a few!Just a great place to enjoy family time! I love that from the kitchen sink you can see the ocean, don't mind cooking with that view! work out room in our building! Did not disappoint....very pleased with our stay! Property was comfortable and a good value! Pretty much everything that we needed was supplied. The restaurant upstairs was an unexpected bonus....best char-grilled grouper ever! So glad you enjoyed out condo! We love the having guest come back each year to enjoy our quaint beach town! Exactly what we were looking for, clean and quiet for a relaxing weekend. Owner responded quickly to inqueries and even allowed us a later checkout which made the last day very convenient for us. No complaints at all, would book again. Thanks Thomas, glad you enjoyed your stay! We hope you come back soon! We had a wonderful time!! Our condo was in great condition, well decorated, and suited our family of 6 very well. We were impressed with the property, and loved the ramp going to the beach. This was great for older individuals and those of us that used a beach wagon to carry our essentials to the beach. Margo was easy to work with and answered any questions I had in a timely matter. My only suggestion is that a bathmat or something of the sort be placed in the bathtubs. They were very slippery, even when dry. I, myself almost fell twice when entering the tub. But, other than that, I absolutely loved this resort. I MOST DEFINITELY will book with Margo again. thanks so much for the wonderful review. Thanks for the suggestion and I will try to find something to help with the tub. We hope you come back and stay with us soon ! We thoroughly enjoyed our week stay over the 4th of July. The Fireworks were Fantastic. The Pool was kept immaculately clean as were all the grounds. We will definitely go back for future visits. Great Peaceful Vacation!! Great Host! My family of 5 enjoyed the stay in this condo very much. I loved that you can walk right out to the beach and the chairs and umbrella the host had reserved each day was wonderful. We had everything we needed in the condo to cook and be comfortable. We look forward to visiting again. We thoroughly enjoyed our weekend getaway at St. Regis. We were able to get to the beach in a matter of moments. Parking & getting to and from the condo was simple. The condo was roomy and we loved being able to use the coffee pot & blender for morning & afternoon treats.